Draft: 2015, Pittsburgh Pirates, 2nd rd. Kevin Lowell Kramer...Wife's name is Riley...Is a 2011 graduate of Turlock (CA) High School, where he was a three-year varsity winner in baseball...Was also a three-year letter winner at quarterback on Turlock's football team...Hit .350 with six doubles, two home runs and 30 RBI during his senior year in 2011...Was a three-time, first-team All-Central California League selection...Batted .460 with 11 doubles, five triples, seven home runs and 30 RBI as a junior in 2010...Led Turlock to the title game in 2010 while hitting three home runs in the league playoffs...Helped lead the USA Baseball U-16 team to the Gold Medal in Taiwan during the summer of 2009...Was named the Central California League MVP as a quarterback after passing for 1037 yards and 15 touchdowns while also rushing for 1119 yards and 16 touchdowns as a senior...Played baseball collegiately at UCLA...Collected three hits during the 2012 College World Series...Hit .278 in 66 games as a sophomore in 2013 with 11 doubles, two triples, three home runs and 42 RBI as UCLA won the College World Series against Mississippi State (Adam Frazier played for Mississippi State); the first national championship in baseball for UCLA...Hit .323 with 14 doubles, two triples, seven home runs and 34 RBI in 2015 with the Bruins...Was rated by Baseball America as the 133rd prospect heading into the 2015 draft...Was signed by Pirates scout Rick Allen. Spent full season with Triple-A Indianapolis and led the club in hits, doubles and home runs...His .311 average was the highest by a Tribe player since Jim Rusherford hit .311 in 2003...Ranked third among the International League leaders in batting and third in OPS (.856)...Also ranked second in slugging percentage, second in total bases (234), second in doubles and fifth in OBP... Was named to the International League's post-season All-Star team...Made 82 starts at second base, 19 at third base and 15 at shortstop with Indianapolis...Went 5-for-5 on 7/19 - the first Indy player with five hits in a game since Josh Harrison went 5-for-5 on 5/28/11 at Pawtucket...Produced a .354 batting average (97-for-274), .397 on-base percentage and .945 OPS in his final 76 minor league games, dating back to 6/8...Was selected by Pittsburgh on 9/4...Made his Major League debut on 9/5 and flied out as a pinch hitter... Made his first big league start at second base on 9/6 and singled off Dan Straily for first career hit; also had an RBIsingle off Tayron Guerrero in the game...Went 3-for-9 in his first five games with the Pirates thru 9/11; went hitless in his next 21 at bats before going 2-for-5 on 9/28 at Cincinnati... Made four starts at second base and three at third base with the Pirates. Hit .290 (63-for-217) with 17 doubles, three triples, six home runs and 30 RBI in 57 combined games between Altoona, the GCL Pirates (rehab) and Morgantown-WV (rehab)... Began season with Altoona, where he was named to the Eastern League's mid-season All-Star team...Hit first Double-A home run on 4/8 at Harrisburg in game one of a doubleheader...Was hit by a pitch three times and also walked once on 4/18 vs. Erie...Hit two solo homers, including a go-ahead shot in the eighth inning, in the Curve's home opener on 4/13 vs. Akron...Hit .464 (13-for-28) with three homers and seven RBI through his first eight games from 4/7-14...Opened season with a 10-game hitting streak from 4/7-17...Scored at least one run in eight straight games from 4/26 to 5/7...Hit .385 (37-for-96) with 17 runs scored, 10 doubles, two triples, three homers, 11 RBI and 11 walks over his first 26 games from 4/7 to 5/9...Hit safely in nine straight games from 4/30 to 5/11...Extended on-base streak to 29 games after being intentionaly walked on 5/12 vs. New Hampshire...Reached base safely in 32 straight games from 7/4 to 8/12; the second-longest streak in the Eastern League in 2017 and one game shy of the Altoona team record set by Ronny Paulino in 2004...Was hit by a pitch and removed from the game on 6/10 vs. Richmond in the first gameof a doubleheader...Was placed on the disabled list on 6/11 with a right hand fracture and missed remainder of the regular season...Played one game on rehab with the GCL Pirates and three with Morgantown...Was added to Altoona's playoff roster on 9/9 to replace the injured Cole Tucker...Had a sacrifice fly on 9/9 vs. Bowie in Game Three of the Division Series...Worked a bases-loaded walk in Game Two of the Eastern League championship series on 9/13 at Trenton...Hit .200 with a double, two home runs and six RBI in 16 games while playing for Glendale in the Arizona Fall League...Was named to the league's Fall-Stars Game; entered the game as a defensive replacement at second base and went 0-for-1 at the plate...Was rated by MLB. com as Pittsburgh's ninth-best prospect following the season. Spent entire season with the Florida State League champion Bradenton Marauders...Led Florida State League second basemen in fielding percentage (.983) and double plays (68)...Tied for the league lead in doubles...Recorded first career home run on 5/2 at St. Lucie. Began professional career with the West Virginia Black Bears after being selected by the Pirates in the second round of the draft earlier in the summer...Recorded career-high five hits on 8/24 vs. Batavia, finishing the game 5-for-8 with a triple and two RBI...Ranked sixth in the New York-Penn League in batting...Hit .583 in his final five games with the Black Bears before being promoted to the West Virginia Power on 8/25...Hit .483 (28-for-58) with the Black Bears during the month of August..Batted .455 (5-for-11) with a double and RBI in three games during the South Atlantic League playoffs. April 16, 2019 Pittsburgh Pirates optioned 2B Kevin Kramer to Indianapolis Indians. April 11, 2019 Pittsburgh Pirates recalled Kevin Kramer from Indianapolis Indians. 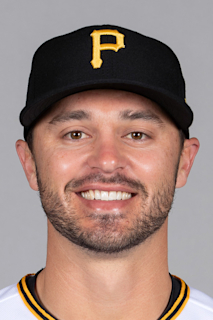 March 18, 2019 Pittsburgh Pirates optioned 2B Kevin Kramer to Indianapolis Indians. September 4, 2018 Pittsburgh Pirates selected the contract of Kevin Kramer from Indianapolis Indians. April 5, 2018 2B Kevin Kramer assigned to Indianapolis Indians from Altoona Curve. January 22, 2018 Pittsburgh Pirates invited non-roster 2B Kevin Kramer to spring training. September 9, 2017 Altoona Curve activated 2B Kevin Kramer from the 7-day disabled list. September 3, 2017 Altoona Curve sent 2B Kevin Kramer on a rehab assignment to West Virginia Black Bears. September 2, 2017 Altoona Curve sent 2B Kevin Kramer on a rehab assignment to GCL Pirates. June 11, 2017 Altoona Curve placed 2B Kevin Kramer on the 7-day disabled list. Fractured right hand. April 1, 2017 2B Kevin Kramer assigned to Altoona Curve from Bradenton Marauders. February 25, 2017 2B Kevin Kramer assigned to Pittsburgh Pirates. April 5, 2016 2B Kevin Kramer assigned to Bradenton Marauders from West Virginia Power. August 25, 2015 3B Kevin Kramer assigned to West Virginia Power from West Virginia Black Bears. June 17, 2015 Pittsburgh Pirates signed 3B Kevin Kramer.